Displeased with Hollywood’s handling of one of its most precious and lucrative franchises, Japanese film giant Toho changed its plans to stop producing Godzilla films for a full decade and immediately began work on Godzilla 2000, or Godzilla Millennium as it is known in Japan. Godzilla 2000 marks yet another reboot of the series and the start of the “Millennium” series of films that lasted from 1999 until 2004. The Millennium series’ films completely disregard the previous Godzilla films and are for the most part self-contained stories. Although it is the start of a new series, Godzilla 2000 wisely avoids any effort to explain Godzilla’s origin or any of his activities leading up to the events of the film. All you need to know is that Godzilla exists and he emerges from the ocean every now and then to troll the citizens of Japan. Scientists are split into two camps: those who wish to keep Godzilla alive so that he can be studied, and those who focus their efforts on finding a way to destroy the monster. The film’s protagonists – members of the Godzilla Prediction Network (GPN) — are of the former mindset, viewing Godzilla as a majestic wild animal that must be allowed to live. The GPN is a ragtag group consisting of an idealistic scientific researcher named Yuji Shinoda, his young business-minded daughter, and a stereotypically sassy female photographer. We spend a lot of time with these characters, and while the film sometimes has a difficult time giving them anything meaningful to do, their interactions provide some good comic relief and keep the story (what little there is, at least) moving along. At odds with the GPN is Mitsuo Katagiri, the CEO of the Crisis Control Institute (CCI), who is determined to rid the planet of Godzilla, no matter the cost. The narrative is surprisingly simple – a refreshing change of pace from the exhaustingly complicated scenarios of the Heisei-era films. Throughout most of the film, Godzilla rampages through Japan while the human characters either try to stop him with military force or debate his potential scientific value. 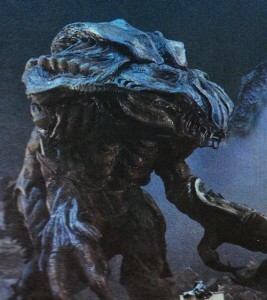 While everyone is distracted by Godzilla’s shenanigans, an ancient alien spaceship emerges from the ocean, hovering around ominously for a while before transforming into a titanic monster named Orga, who predictably makes a bee-line for Godzilla. Godzilla’s fight with Orga is brief, but satisfying. The monsters viciously battle each other with no outside interference, which is unusual for a Godzilla film. Godzilla shows off his new atomic breath attack (now orange instead of blue) and a much more deadly tail sweep. Orga is no slouch himself, blasting Godzilla with his organic laser cannon and directing the remnants of his vessel to crash into his opponent. When Orga attempts to consume Godzilla in order to assimilate his DNA, Godzilla willingly walks into the alien’s gaping maw, feigning defeat for a moment before blasting Orga to bits with a charged-up blast of atomic breath. The English-dubbed version of the film ends on the highest possible note with Yuji’s remarkable declaration that “Godzilla is inside each one of us!” Bravo, Godzilla 2000. Bravo. 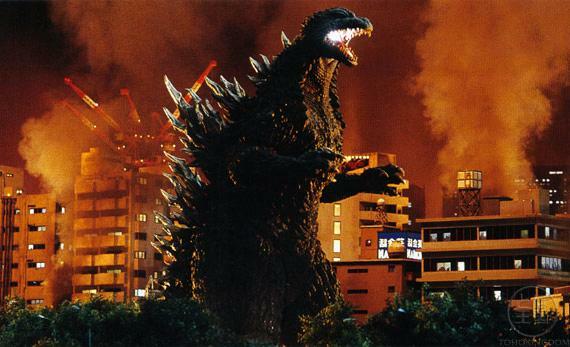 Godzilla 2000 maintains the Japanese tradition of using suit actors to portray monsters, and the revamped Godzilla suit looks better than ever, with realistic eyes, more pronounced spikes along his back, and a generally more aggressive look. The hulking Orga is impressive-looking as well, with its gigantic limbs dragging along the ground. The climactic fight sequence is a showcase for some of the most impressive use of practical effects of any monster movie, and miniatures are used to great effect. Buildings are falling apart left and right, and there are explosions galore. The film’s biggest flaw is its heavy reliance of CGI and digital effects. There is a lot of CGI throughout the film, and it is all very cheap-looking and distracting. Whether it’s the alien spaceship (which looks like a metal bicycle seat befitting a giant T-1000 from Terminator 2) awkwardly careening through the city or a dopey-looking CGI Godzilla swimming around, the non-practical effects are almost always laughably bad, and detract heavily from the overall quality of the film. The effects were bad in 1999, and now look like they’re straight out of a cheesy commercial for a low-tier technical institute. 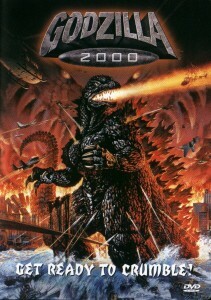 Godzilla 2000 is, for the most part, a return to form for the series after the misguided 1998 Hollywood film. 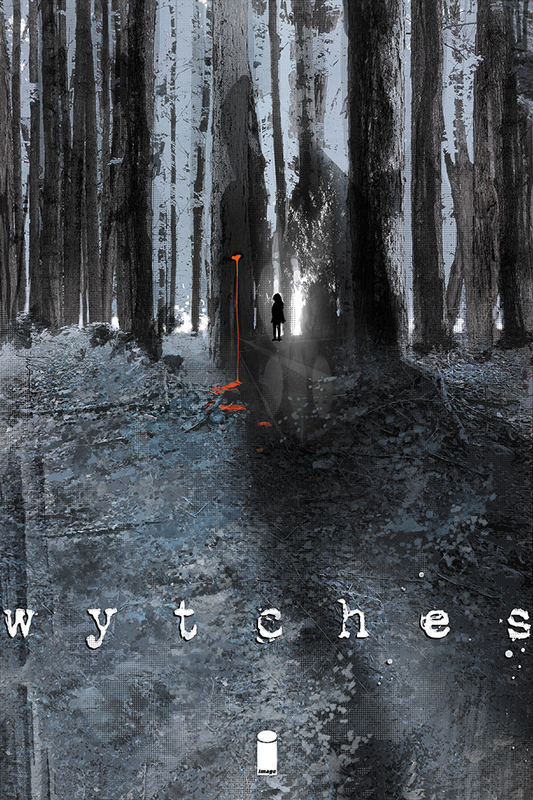 The human characters are somewhat amusing, and keep from hogging the spotlight for too long. For those who enjoy campy English dubbing, this is one of the funniest dubs of any Godzilla film, though the translators go a little over-the-top with some lines. Most importantly, we get actors in detailed monster suits throwing each other into buildings and causing plenty of destruction. 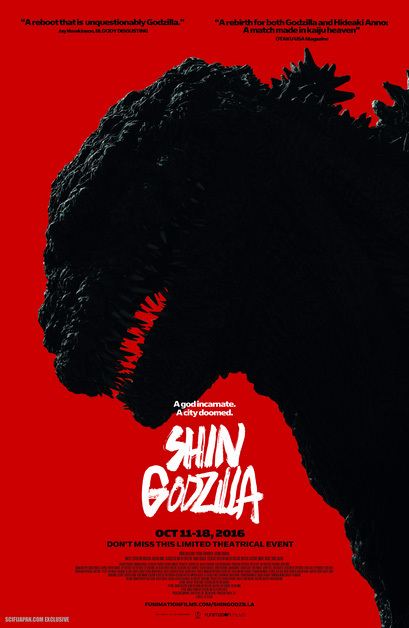 If you can overlook the incredibly shoddy CGI, you’ll find this to be a solid and respectable kaiju film, and a promising start to a new series of Godzilla films. Fun Fact: This is the first film to depict Godzilla’s color as green, despite a common misconception that he was that color in earlier films. Memorable Moment: Godzilla lighting up Tokyo with his atomic breath in the final scene, while the human characters talk about how inspirational he is.